Matrix is pleased to announce they will be showcasing their patented, award-winning, flagship invention – the Matrix Wand – at the 2018 SEMA Show. All are welcome to visit Matrix at Booth #10673. The SEMA Show will be held October 30 – November 2, 2018, at the Las Vegas Convention Center in Las Vegas, Nevada, USA. As the world’s premier automotive specialty products trade event, the SEMA Show will bring together the industry’s brightest minds and hottest products – all in one place. Excitement for the 2018 event is building, as the 2017 SEMA Show attracted more than 70,000 domestic and international buyers, and showcased nearly 3,000 newly introduced parts, tools and components. The SEMA Show provides exhibitors and attendees with educational seminars, product demonstrations, special events, networking opportunities and more. The Matrix Wand is a hand-held 3D electronic blueprinting and repair measuring device for structural collision damage. It uses 3D imagery and specialized computer software to assess structural collision damages versus factory repair data and specifications. Estimators and repair technicians can use the images to measure and correct sway, sag and mash using infinite data points. The Wand’s purpose is to identify hidden damages and, in turn, improve estimation accuracy. Because the Matrix Wand can perform structural collision damage analysis in approximately 15 minutes, while similar technologies may take up to one hour, the Matrix Wand can also improve shop throughput. Throughout the event, live demonstrations will be presented by Sergio Correa, director of support & technical training at Matrix. Correa will provide an overview on the Matrix Wand’s functionality, and will be available for technical questions and support thereafter. For more information about the 2018 SEMA Show, please visit their website. To register for the event, click here. 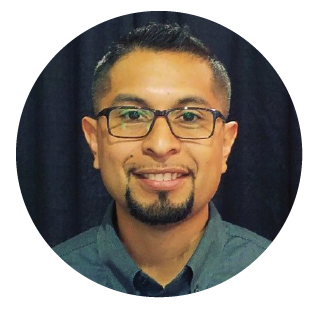 Sergio Correa has more than 18 years of experience in the automotive collision industry and has been with Matrix since 2016. Prior to joining Matrix, Correa served as an automotive collision repair instructor at Salina Area Technical College for four years. He is ASE-certified in structural and non-structural analysis, as well as damage repair. Correa is available to provide online or on-site technical training for shop owners, managers and collision repair technicians on how to use and implement the Matrix Wand technology into their shop processes. For more information about this service, please contact us. Matrix Electronic Measuring, Inc. was founded in 2003 in Salina, Kansas, USA. Its flagship product, the Matrix Wand, was introduced to market at the 2012 SEMA Show, where it won the prestigious New Products Showcase Award. Today, the Matrix Wand holds 6 U.S. and 21 foreign patents. For more information about the Matrix Wand, please visit contact us.